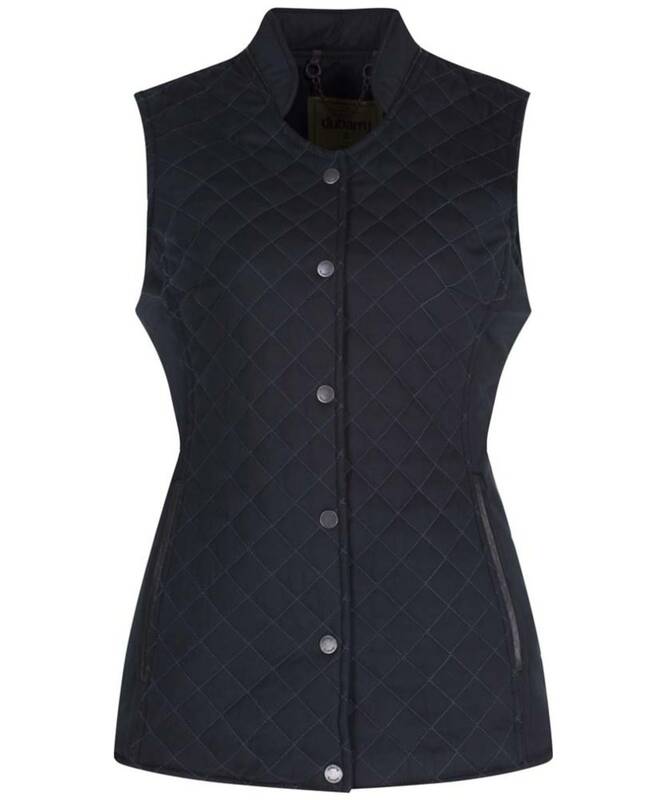 The Women's Dubarry Wilde Quilted Gilet is a stylish, suede herringbone gilet that's a must have fashion piece for this season. The gilet features PrimaLoft® filler, designed to keep you warm, while being lightweight. The front features two hand warming pockets, lined with fleece for a luxurious and comfortable finish, and are completed with a quality YKK zip and leather trim detailing. There is also Dubarry branding throughout, adding subtle detailing for an elegant finish. For the classic country look, it can be worn with some classic boots and slim jeans. 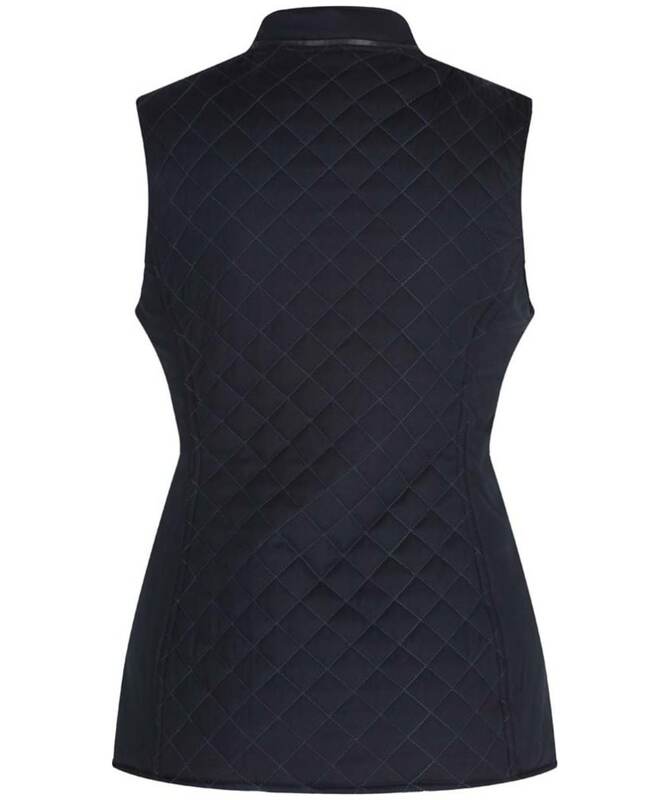 Rated 5 out of 5 by Susy from Nice and long I really love this gilet. It actually covers my bum. 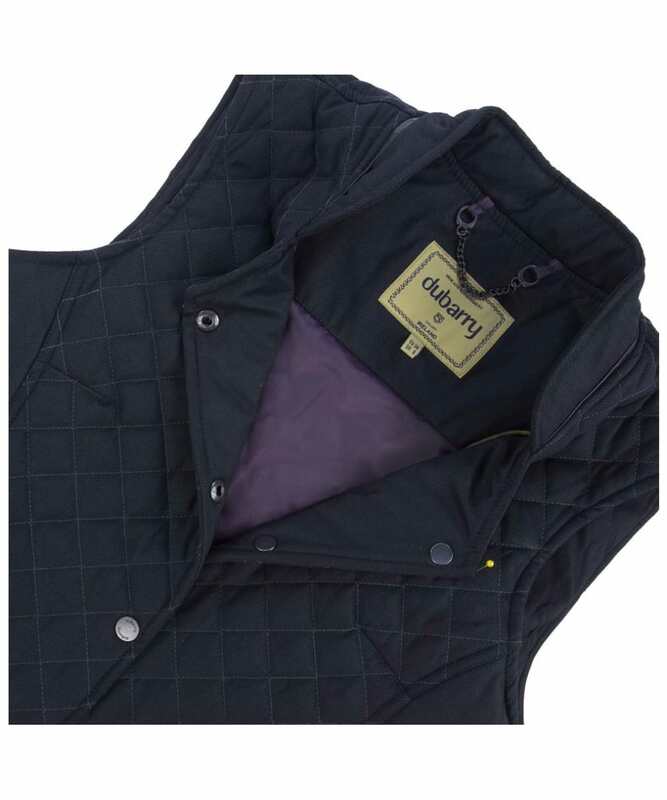 Women's Dubarry Wilde Gilet - Navy is rated 5.0 out of 5 by 1.